Nyborgs Blog: Trip to "Georgia Aquarium"
We have finally seen the worlds largest aquarium. 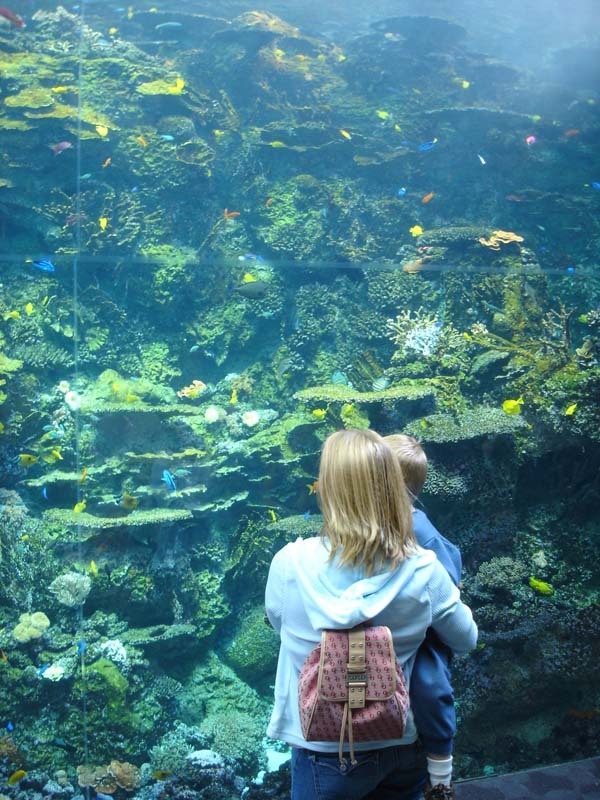 The Georgia Aquarium advertises that it is the biggest aquarium in the world. It opend up last year and has been completely sold out since then. You actually have to call and reserve a certain time for you to enter the aquarium. 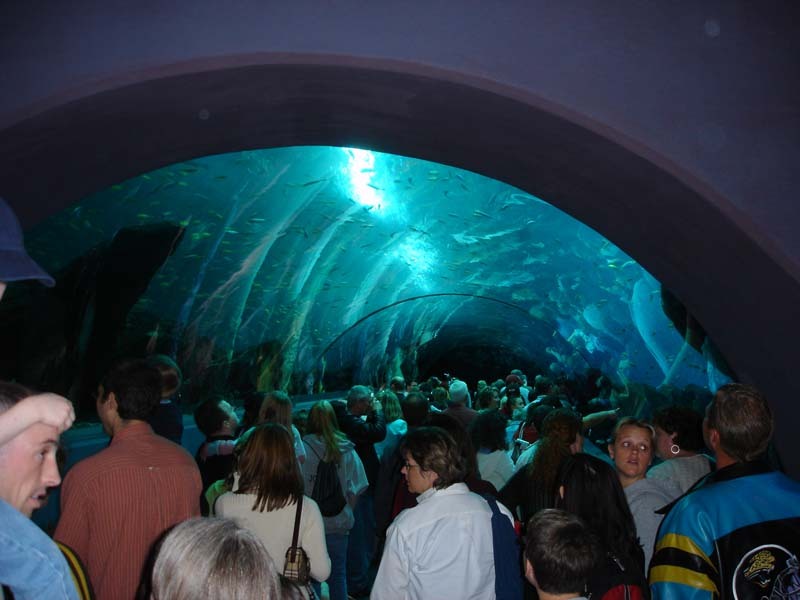 The aquarium is split into several areas. We went to the most famous one. The one with the biggest fish in the world. The guys in the foreground are doing repairs. 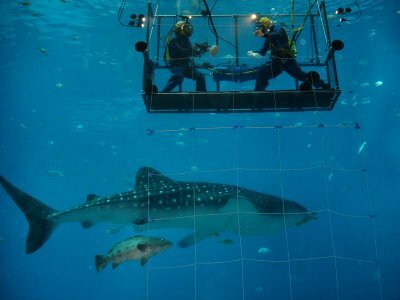 The big sharks in the tank actually scratch the screens as they glide against it. The trip to the lookout post where a guy told about the aquarium went through a glas tunnel where you could see all the fish swim above you. VERY impressive. Sebastian has always enjoyed watching fish. This display caught his attention because of the many colorfull fish. Very nice aquarium! It reminds me of the one I visited in Barcelona, Spain a few years ago. They also have the same type of underwater tunnel.